Although they’ve been around since the 1990’s, elliptical machines remain incredibly popular today and are used around the world as an effective, low impact exercise option. Since the original elliptical trainers were released, many variations and upgrades have hit the market. They started with a “rear drive” mechanism but now come with “front drive” and even “center drive” as well. Some are level while others have incline and decline capabilities. 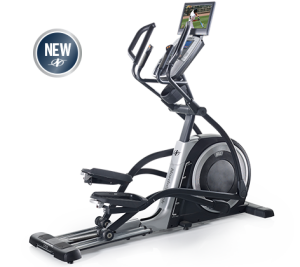 Some ellipticals even come with touch screens, personal training and internet access. There is a lot out there and plenty of options to choose from. This is why I created Elliptical Review Guru. There is a lot of information online and it can make the whole buying process very confusing. If you’ve searched for elliptical reviews online you’ve probably come across dozens of brands and hundreds of models…so how do you pick the best one for your home? If you’re ready to get started, you can check out our 2019 Best Ellipticals By Price and Type to see our top picks for this year. I aim to make the entire process much easier for you. I give you the specs and info you are looking for on each machine along with a rating, excerpts from other elliptical review experts, user reviews and my own thoughts. That way you know it isn’t just me talking, but other industry pros as well as actual users. I’m trying to give you truly unbiased information so you can just find the elliptical that is right for you. With some manufacturers I’m also able to offer exclusive discounts. As a trusted source of elliptical reviews, some brands give me special deals that will help you save on your purchase. I want you to find the elliptical you are looking for that will work best for you, and can always contact me if you have any questions. As a starting point, following are the most popular elliptical reviews on the site. These models get the best ratings and some are the most purchased ellipticals online. These particular reviews are most widely read by Elliptical Review Guru visitors, and will give you a general idea of brands and models that people search for. What should you be looking for in an elliptical? There are a lot of things you should consider. The Treadmill Doctor actually has a fantastic elliptical buying guide. It is a bit long, so here is the general idea of what you need to look for and be aware of. 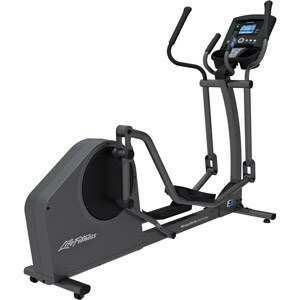 Drive System – Elliptical trainers can have a front, rear or center drive system. To be honest one isn’t really better than the other. But front drive elliptical machines tend to take up less space if that makes a difference. Both rear and front drive have been around a while and have a decent track record of quality. Center drive is relatively new and not much is yet known about how it holds up over time. Warranty – If you ever have to use your warranty with your elliptical you will likely have a bad experience as the fitness industry is well known for poor customer service. But with many moving parts a lot can go wrong with your machine. Pay attention to the warranty of each machine as different brands offer very different warranties on parts and labor. Weight Capacity – On a basic elliptical, anyone up to 200 lbs. is probably going to be fine. Any heavier and you will start to notice vibrations and problems with the smoothness of the stride. Look at the weight capacity listed for each machine. A good rule of thumb? Take 100 lbs. off whatever the manufacturer lists as the weight capacity and that’s the real weight capacity. So if you are heavier, you really ought to be spending a minimum of $1,000 on your elliptical to get something heavy duty enough to support you. Stride – Many ellipticals have a fixed stride or motion. Some will have an adjustable or variable stride. If you are the only person using your elliptical, then get a stride that is comfortable for you. If you plan to share it with a spouse or roommate, make sure it is adjustable so it can suit multiple users. Taller people, six feet and over will want to get an elliptical that gets to at least a 20″ stride. There are other things you may want to consider such as the design, entertainment options, web compatibility and whether it folds or not. Obviously those are all personal preferences, but they are still things you want to look at. There are two types of ellipticals out there: residential and commercial. If you go to the gym you will see names like Life Fitness, FreeMotion, Cybex, Precor and others. But if you try to buy an elliptical from them you will see they cost thousands of dollars. This is because they are commercial grade. They are designed to take prolonged daily use and still last for years. However, you probably will be just fine with an elliptical trainer made for home use. These are significantly cheaper but they also are not as durable. It shouldn’t matter unless you plan on using it for hours every single day. But if you use it for an hour or so most days, then any of the major home elliptical brands will work for you. When it comes to the residential elliptical market, a few brands really dominate and account for most of the ellipticals sold. NordicTrack is the top fitness brand for home exercise equipment. No one sells more treadmills and ellipticals. And you don’t get to the top by making terrible machines. They have some very high quality elliptical trainers and they are the flagship brand of Icon Health & Fitness, the largest manufacturer of fitness equipment in the world. The elliptical I have in my home is a NordicTrack as is my treadmill. That probably says all you need to know about the brand. Sole is a very comparable brand to NordicTrack. Their machines are similar but Sole has a bit less as far as options are concerned. Still, they are pretty affordable and come with great features, which makes them one of the top sellers in the market today. 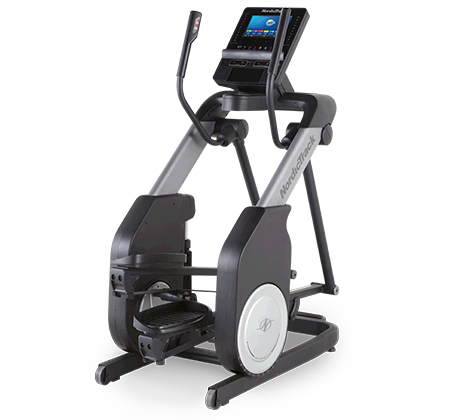 ProForm ellipticals are also manufactured by Icon Health & Fitness. These are similar to NordicTrack models for that reason. The only difference is the quality is a bit lower, but the prices are much better. As far as bang for your buck goes I would say ProForm ellipticals offer the best value out there. They even have a hybrid elliptical that looks like a recumbent exercise bike with elliptical pedals. They are pretty innovative and have all of the same nice entertainment features you can get with NordicTrack. Life Fitness offers some of the best ellipticals in the business. Unfortunately they don’t sell an elliptical for less than $2,000 so they are a more expensive option. But their elliptical machines are top of the line and beautifully designed if you can afford to go up to their price range. My elliptical ratings are based solely around price and value. That means that one elliptical might have slightly better options than another but it might cost three times as much. The elliptical with the worse features in this case would be rated higher because you are getting more for your money. So my elliptical ratings are not just rating the machines themselves. I rate the machines relative to their price to let you know which elliptical trainers offer the best value. I also include comments from other elliptical review experts online as well as actual users of each machine to help you understand the pros and cons of each of your options.